Exclusive, new, very spacious house, in a prime location on the slopes! Book NOW! 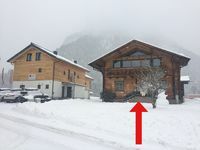 Property 3: Exclusive, new, very spacious house, in a prime location on the slopes! Book NOW! Property 6: A superb detached and spacious holiday home with sauna in the house! Property 8: Detached chalet in the midst of natural surroundings in the Tennen Mountains. Unique ALM in absolute seclusion and in winter right on the slopes !!! Property 43: Unique ALM in absolute seclusion and in winter right on the slopes !!! This location and formidable chalet is one of our yearly highlights. It has been our third time and every time it feels like a warm welcome. The property owner is an excellent host and with his location manager makes your trip smooth and without any worries. This years trip was our best so far. Conditions on slopes were perfect and weather was great. The chalet was clean, fresh and as always warm and inviting to come back to. With this years perfect conditions we spent long days on the mountains and when coming home the sauna was our first stop. The house is so well equiped and beatifully decorated you can spent long evenings in front of the fireplace overlooking the ratracks preparing the slopes. The small village now has a new restaurant/apres ski bar next to the skilift which is a welcome addition. Excellent restaurants are in the vicinity as well as the skirental and school. All in all we once more had a perfect stay and are looking forward to next year and many more to come.... Thanks to Keesjan for a marvellous holiday!!! Just went home after a wonderfull week in chalet Donnerkogel. The info from Michael before the stay and from Johanna under the stay is excellent. The chalet has everything , especially the view to mountain and ski slopes are wonderfull. One star is missing because the ski area is to little for a week and there are no shopping close by. Exellent afterski at Dolomittenhof 200 meters away. Would recommend the chalet to familys with small children learning skiing in the big beginners area.